Although there are many fine cities in America, there is only one city that bears the title, “America’s Finest City.” And it's San Diego, California. While the title may sound like mere hyperbole, it's not. San Diego is a city that has it all—from the best beaches in Southern California, to an amazing amount of wilderness diversity, where one can go from ocean, to foothills, to mountains, to desert and back, all in time to enjoy fresh, authentic tacos and Mexican lagers back in town. While it would take a lifetime to experience everything that San Diego has to offer—which is why so many come to visit and never leave—here’s a “best of” list that will provide a great start for the first of many weekend adventures in one of the finest places in the continental United States. While San Diego will never be confused with Seattle, the southernmost city of California does take its coffee seriously. Even better, San Diego is a haven for people who want more than just an average cup of Joe, as any barista in town is used to making custom orders depending on the fad, diet, or workout routine of the month. Another great thing about the caffeine merchants of San Diego is how many of the local shops feature unique, cosmopolitan tea selections in addition to traditional coffee creations. The newest addition to the San Diego coffeehouse scene is Lofty Coffee, which has two locations; a sleek, modern shop that is tucked away on the side of the Coast Highway near Encinitas, as well as a spot near the iconic concert venue, the Belly Up in Solana Beach. 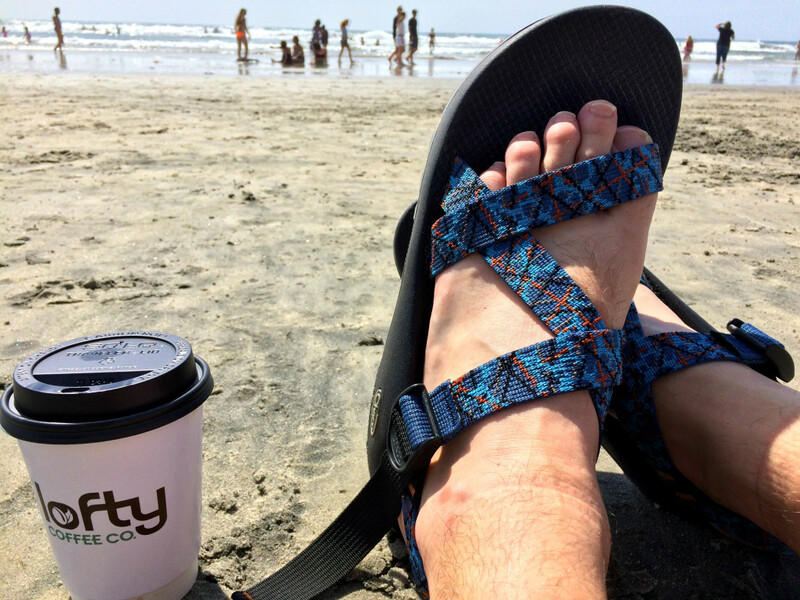 While the Solana Beach location is fantastic in its own right, the Encinitas location is the place to visit because Moonlight Beach is a mere five minute walk, and it’s hard to beat starting your day with a cup of Lofty’s custom culinary coffee from the beach. While the stock espresso of Lofty is fantastic, things really get interesting with their three custom drinks—the Turkish Mocha, the Salted Caramel Latte, and the Aztec Mocha—all of which are unforgettable lessons in decadence. No review of San Diego coffeeshops, however, would be complete without mentioning Pannikin Coffee and Tea, or as the locals call it “The Pannikin.” Since 1968, Pannikin has been serving fresh coffee, exotic teas, and outstanding pastries to the good people of San Diego. The original Pannikin is located in the historic Santa Fe railroad station, which is a charming yellow building that has ample seating both inside and outside, where it's easy to while away the morning with a latte, tea, or even a tea latte. If the coffee isn’t enough to attract your attention, the Pannikin also has a great breakfast menu featuring Greek omelettes, fresh garden salads, and all sorts of other breakfast plates with eggs, vegetables, and spreads. San Diego is a hiker’s paradise, as it features beach trails, foothill trails, mountain trails, meadow trails, alpine trails, and desert trails, all within an hour to two hour radius of downtown. While most people focus on Cowles Mountain, the tallest peak in the city limits, and Iron Mountain, a challenging hike near the city, there are many great trails county-wide, depending on a hiker’s mood. In fact, the best thing about San Diego is that there is a trail for everyone, and in many cases, trails without too many people on them. One of the best areas for hiking in the northern portion of San Diego is Torrey Pines State Reserve, which features trails that meander along the beach, as well as those that travel through enticing groves of the namesake Torrey Pines—the rarest pine trees in North America. The Torrey Pines State Reserve is a stellar spot to watch the sunset, and on clear days, see a green flash as the sun disappears under the horizon. In the middle of the county, El Cajon Mountain provides one of the toughest hikes in the area, with a leg burning climb over 5.7 mile one-way distance (11.2 miles roundtrip) through hills sprinkled with granite boulders and native California chaparral. To the east of the city, a short drive allows access to one of San Diego’s best hikes, the Sunset Trail. Located in the Laguna Mountains, this trail crosses some of the iconic Pacific Crest Trail (“PCT”) which stretches from Mexico to Canada. The Sunset Trail provides some of the only alpine hiking in San Diego, and is a spectacular place to listen to the wind gently whistle through some of the county’s old growth forests. The midpoint of the trail offers up a pristine mountain lake where wildlife can be seen year-round. The trail is also a great destination to see something that most people think doesn’t exist in San Diego: snow. In the winter months, this area is the best spot to go cross country skiing or snowshoeing either before or after visiting the beach. California has great climbing as a whole, and San Diego is no exception. Many of the areas in San Diego provide great learning opportunities to train for the iconic routes of Joshua Tree, a two hour drive away, or the big walls of Yosemite to the North. Beginners have their choice of learning to boulder or learning the basics of rope climbing all within the confines of the county. 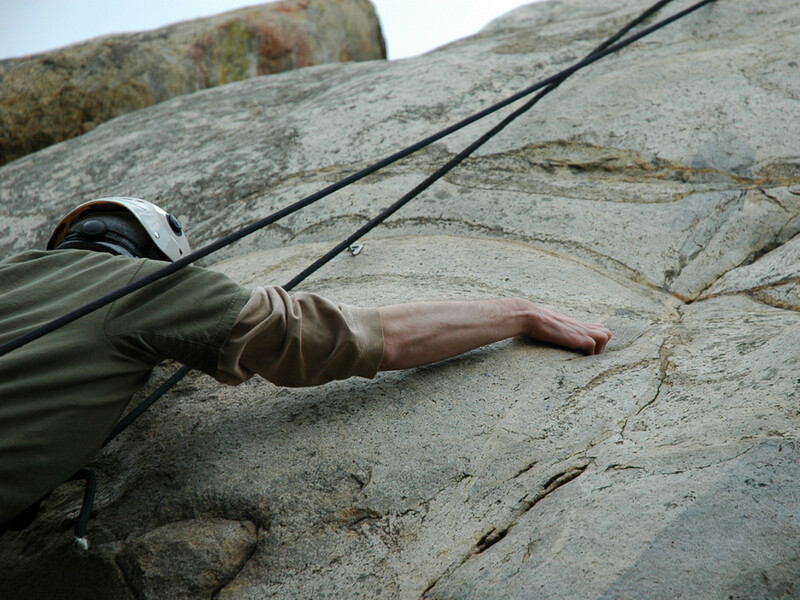 The most popular bouldering routes are located on Mount Woodson, which is located near Iron Mountain in the center of the county. Mount Woodson is a moderately sized mountain, and like El Cajon Mountain, it is covered with small, medium, and large sized granite boulders. Unlike El Cajon, the routes on Mount Woodson are easy to hike to, and most are located off of the old fire access road. From “Sunday Mountain Boulder” to “A Nightmare on Elm Street,” there are routes for everyone. Hands down, however, the most infamous rock formation on Mount Woodson (worth a peak, if nothing else) is the "Potato Chip Rock." This boulder has a daily line year-round of people attempting to take the best social media photos of themselves suspended in mid-air by a thin sliver of rock. If you go—don’t be shy—wait in the line, and get your own unique pose. For people first learning to climb, Mission Gorge is one of the oldest locations in the county. Located in Mission Trails Regional Park near Cowles Mountain, this climbing area has taught many people how to handle cracks and how to be belayed for over seventy years. While it’s an area that the locals love, it’s also a learning area where a number of companies provide lessons year-round for people who don't have the gear or experience. Finally, no climbing trip to San Diego would be complete without a trip to the desert. While Joshua Tree is close to San Diego, the Valley of the Moon is closer. The Valley of the Moon is located east of San Diego in the Anza-Borrego Desert, and features myriad bouldering routes on surreal rock features. If you have the time, this last destination is a can’t miss spot. Paddling in San Diego has a number of meanings, due to its long stretches of coastline and numerous lakes. It could mean paddling a rowboat on nearby Lake Hemet, or it could mean operating a paddleboat on one of the Santee Lakes. Most likely, “paddling” in San Diego means one of three things: stand up paddleboarding (“SUP”), surfing, or kayaking. 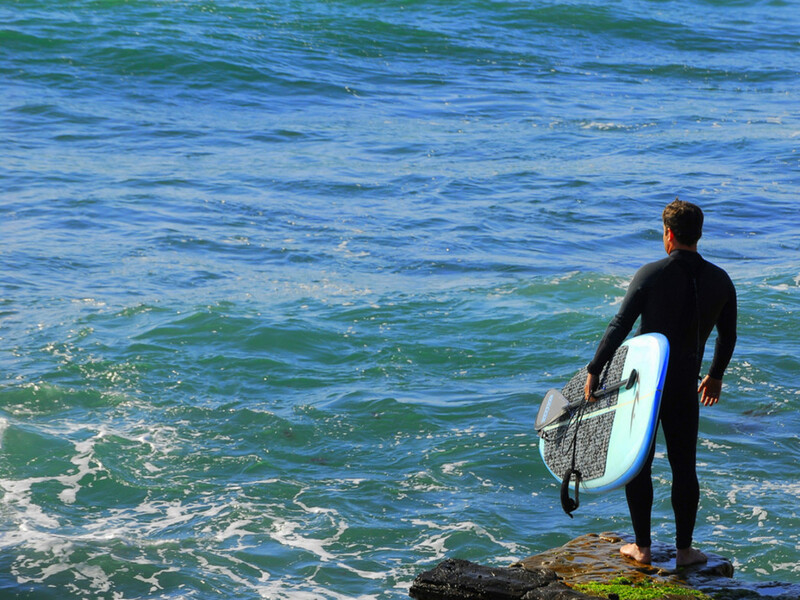 While some of the best breaks for SUP or surfing in San Diego can be found at Swami’s Beach, or Windansea, the best place to explore and to rent gear is at La Jolla Shores. This long stretch of beach has a relatively calm break, and is a spot where locals and tourists alike have been learning to “paddle out” for decades. La Jolla Shores is also on the North side of La Jolla Cove, an area full of scenic sea caves, that is above the La Jolla Canyon, which is an underwater ecological reserve. This deep underwater trench has an amazing amount of biodiversity, and is an excellent place for people to see shorebirds (migratory and permanent), along with seals, sea lions, sharks, and the occasional whale (during migration season). A number of outfitters provide kayaking services that offer half-to-full day excursions year-round around the sedimentary and picturesque La Jolla sea caves. San Diego is also known as a spectacular destination for nightlife and restaurants. The crown jewel of the city is the historic Gaslamp Quarter in the downtown core region, which features Petco Park, the home of the Padres, and hundreds of restaurants, micro-breweries, bars, and nightclubs. While the Gaslamp Quarter truly has something for everyone, San Diego is more than just this section of town, with diverse dining options in all areas of the city. No visit to San Diego would be complete without sampling two of its signature items: beer and Mexican Food. Over the last ten years, San Diego has quietly become one of the best beer cities in America, with nearly one hundred microbreweries having been established. In terms of a place to relax and eat, you can't go wrong with a visit to one of the city's original craft breweries: Stone Brewery. 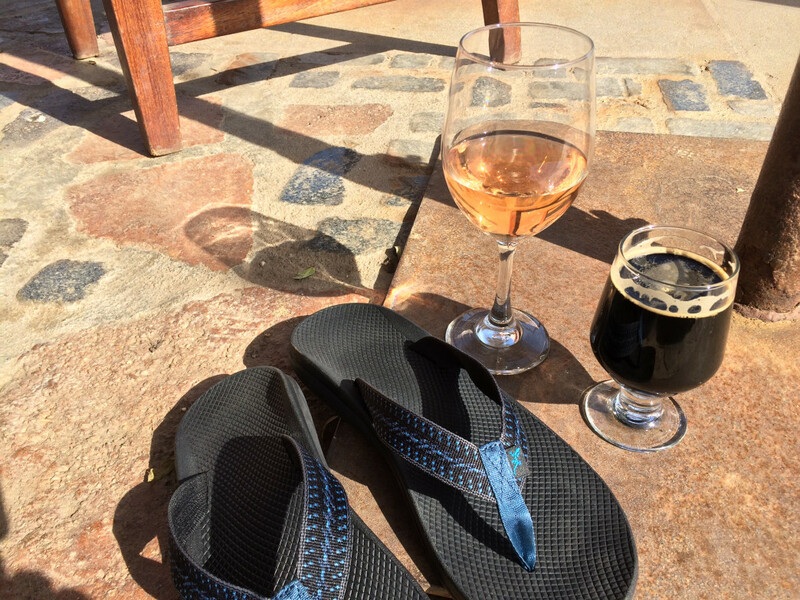 Although Stone Brewery has two locations, the premier location is its spot at Liberty Station. The Liberty Station location features historic ambiance, as it was the former Naval Training Center, and over forty local beers on tap. In addition to all of the great beer, the location features unique and tasty food, ranging from Poke Tacos, Charred Brussel Sprouts, to the infamous Really Stinky Cheese Plate. If Stone Liberty Station doesn’t have enough local beer for you, a nearby gastropub, the Regal Beagle also has a number of offerings on tap. From the order zipline, to the Wheel of Indecision, the Regal Beagle lives up to its TV show namesake as a relaxed, fun location that also has the best wings in the city. In terms of Mexican food, San Diego has taco shops galore that feature fresh, authentic Mexican food and freely flowing cervezas—the perfect combo. The best new Mexican spot in town is the Super Cocina Mexicana El Camino. With slightly Americanized dishes, El Camino serves up a number of modern Mexican classics, refreshing margaritas, an outdoor patio, and occasionally live DJ's, so it's always a bit of a fiesta. Truthfully, these recommendations are just the tip of the iceberg for San Diego's food and drink scene, as there are countless other culinary treats to be explored in the city. Lodging in San Diego can be expensive—but there are plenty of interesting and unique spots to stay as well that won’t break the bank. 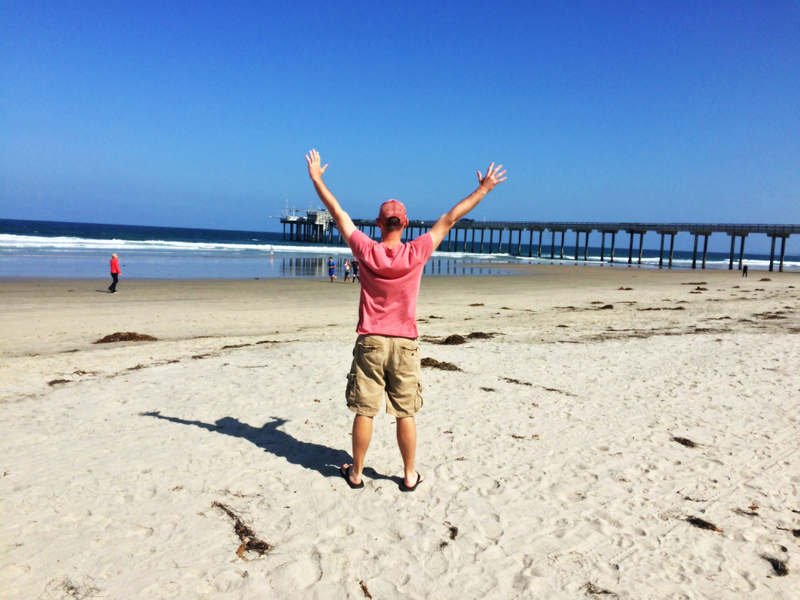 The cheapest—and the most scenic location—is San Elijo State Beach. 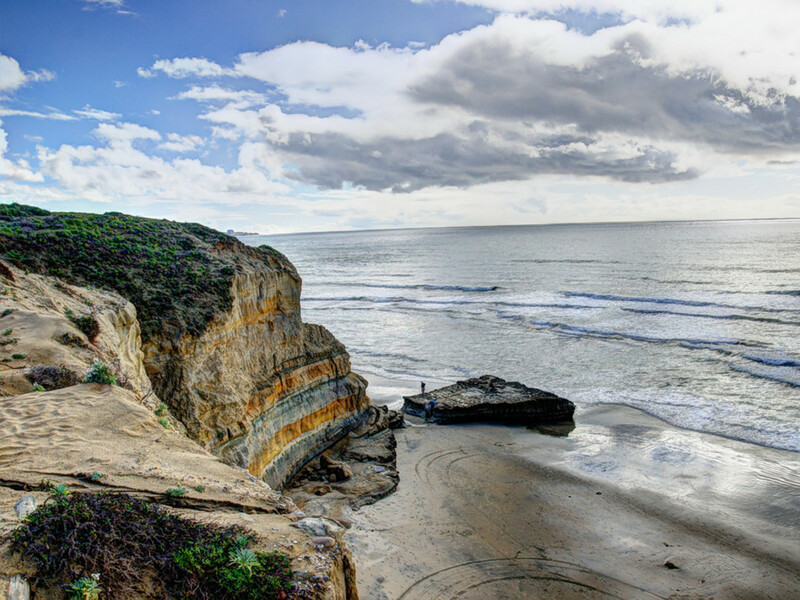 Located along the coast in the Northern portion of San Diego, this park provides beachfront camping and is one of the few spots where a visitor can fall asleep to the sound of the waves. This type of wilderness luxury is popular year-round, so if you’re interested in pitching a tent along the beach, be sure to have made reservations well in advance. If you’re interested in an actual bed rather than a bed of sand, one of the best options is the Pearl Hotel. 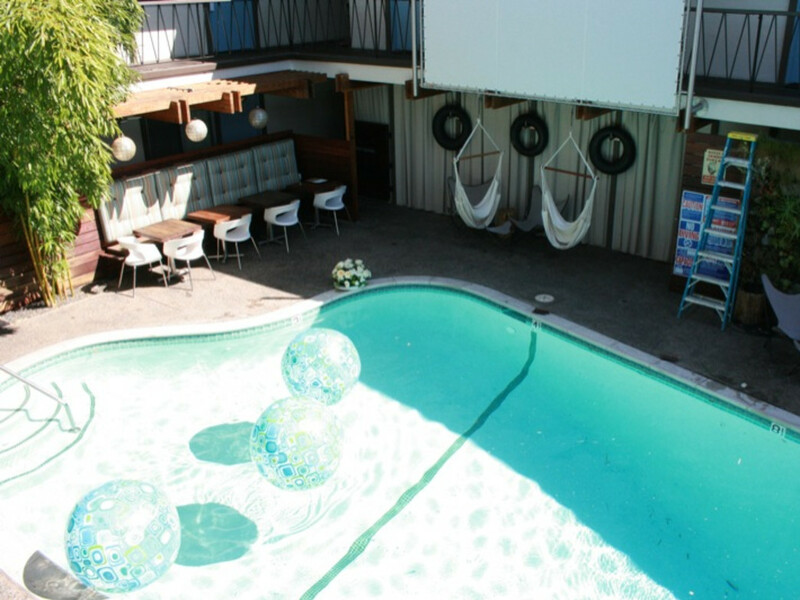 Located in Point Loma, the Pearl is a vintage hotel that also has a superb restaurant and bar. From the free board games located near the front desk, to the movies that are played on a big screen over the pool, the Pearl provides guests with a chance to relax in boutique style. The Pearl is also centrally located to many of the attractions featured in this article and is close to Cabrillo National Monument, which commemorates the original landing of Juan Rodríguez Cabrillo at San Diego back in 1542. So, go ahead and plan your weekend visit to San Diego—just don't be surprised if you never leave!